This is going to be a very easy review because this is a very special preamp. So let me just say it right up front, this is the most accurate, dynamic, coherent, and transparent preamp I have ever heard in my system. Does that mean it’s the best preamp I have ever heard? Well, that all depends on what you mean by best. So let’s get started. 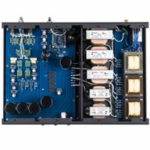 The RTP3D is a two chassis, full function, fully balanced preamplifier. It comes in basic silver, and while there is nothing cheap about the way it looks or feels it only takes one look to see where the money was spent. That’s because the top plate is a silver metal mesh that allows you to look right into the preamp. The result is the first preamp I’ve ever seen that looks more expensive on the inside than on the outside without even taking the top off. It’s like looking inside a fine Swiss watch. One of the chassis is simply the power supply. The control unit has four silver knobs and a single toggle switch. The two knobs on the inside are 23 stepped volume controls. The last few are in 1-db increments. There are internal adjustments to match these to your system. The two outside knobs are the most unusual and most useful selector switches I have ever encountered. They are laid out mirror image to each other, which takes a little getting use to. Everything about this preamp is dual mono, except it has just one power switch. Each selector switch has a plus and negative setting for each input. This enables you to check or change polarity for each input. Without getting into a huge discussion about absolute phase or polarity, let me just say it was easy to hear the difference with the RTP3D being fed either analogue or digital signals. Not only could I hear a difference, I found that the correct setting could greatly enhance the musical enjoyment of the recording. I think I will let you go to Vacuum State’s website for a more technical description. Let me just end the description by saying the back panel is laid out nicely and I found it easy to hook up and was very impressed by the quality of all the parts. When you start to listen to this preamp nothing jumps out at you. You don’t say, “Man listen to that bass” or “how about that soundstage.” No it’s not a jump-out-and-grab-you kind of sound. Yet, after just a few minutes I turned to Warren and said, “That really sounds nice.” And, it does sound very nice indeed, nice, relaxed, and very pretty. There is a lifelike naturalness to the sound of this preamp that is so easy to listen to. It never sounds like it’s trying to impress. It’s so transparent you can’t imagine there is anything between you and the performers. It never strains, yet it is not overly smooth or in anyway makes things sound the same. It’s very dynamic, even explosive when the music is. Yet it is soft, whispering, and gentle when the music demands so. These wonderful dynamics let drums and percussions come through in all their glory. Cymbals can shimmer or just as easily crash right there in your listening room. 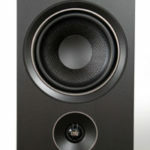 This is because not only is it dynamic, but it has superb micro-dynamics as well. It needs to be said, if a recording or system tends toward the dull or the rolled-off side of the spectrum, the RTP3D will not add extra sparkle for you. Nor is it a forgiving preamp, but it is very refined and relaxed sounding. 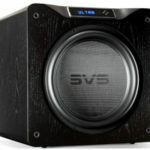 This is the place in the review that I usually break down the review into parts and talk about how the bass, midrange, and top end sound. That just doesn’t seem appropriate with the RTP3D; it is so coherent, so totally seamless from top to bottom that it’s easier to think about the music than the parts. Let me say it one more time: This is the most accurate, dynamic, coherent, and transparent preamp I have ever heard in my listening room. Voices and instruments are clear, right in the room with you. They are tightly focused, articulate, but never etched-sounding. The coherency of the preamp keeps voices or instruments in their place even as they go up and down in frequency. That same coherency makes it easy to not confuse cellos and basses; or violas and violins. Between the coherency and the tonality instruments sound like themselves producing beautiful music right there in my room. I think it’s safe to say this preamp is the best I’ve ever heard in my room in every descriptive term most audiophiles use to talk about how equipment sounds. Well, in every one that is used except one, PRaT. I also know that many audiophiles and reviewers say that a piece of equipment can’t have pace, rhythm, or timing. I know that those are qualities of the performance that the equipment can only allow the listener to hear. Admitting that truth, it seems obvious to me that some equipment allows PRaT to flow into my room much easier than others. So this leads me all the way back to the question from the opening paragraph. Is this the best preamp I have ever heard? You would think from how many ways I’ve said it’s the best that the obvious answer would be yes, but it’s not that easy. Let me try to explain with a few “word” pictures. A little over six years ago I moved to the San Francisco Bay Area. I’m not a wine drinker, but you can’t live in the Bay Area and not learn a lot about wine. In some ways wine connoisseurs are a whole lot like audiophiles. They have their own language and there’s no agreement on which wine is best or what even makes a wine the best. I hear them talk about wines being full bodied, grassy, having a hint of oak, having a good nose, buttery and sometime I even hear that a wine has legs. It’s obvious that some wine connoisseurs are looking for different hews and tones than others. In the art world there’s also a wide difference of opinion on what is true art and what is not. Some love realism, some impressionism, some love pop art, and others love modern art. Inside each of those categories there are some who like warm, earthy colors and others who like bright primary colors. Well I’ve gone on long enough you get the idea. I’ve gone a long way to make the point that it doesn’t really matter if I think it’s the best preamp I’ve ever heard. Neither, is it important if it’s the preamp I would choose to use. What is important is that I let you know how it sounds (and that is difficult when a piece of equipment has so little sound of it’s on). 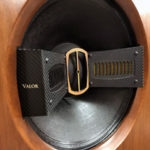 In the audio world just like the wine and art world there are dozens of ways to pursue the Holy Grail. Let’s not even get into the fact that we don’t even agree on what that is. Neither can the other arts we’ve mentioned. There are those who love tubes, but don’t want them to sound tubie. Then there are those who love transistors but wish they could have the warmth of tubes. 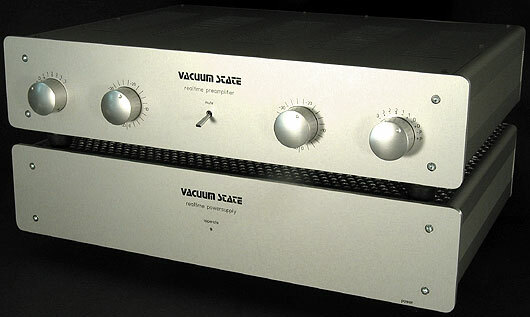 In my experience the Vacuum State preamp creates it’s own new category. It’s not just a tube preamp that isn’t overly warm and lush. Of course it’s not a transistor preamp that sounds like tubes. No it’s a tube preamp that combines almost all the qualities of the best transistor preamps. Don’t take that to mean that it doesn’t have the good attributes of tubes. No sand based preamp I know of for any price can portray the timbers and harmonics like this. The midrange textures and female vocals have that special quality I only hear from glass bottles. Likewise it has the immediacy, naturalness, and relaxed sound of the best tube preamps. What I’m trying to say is that I think you will find this preamp reaches new heights of uncolored and beautiful reproduction of music. Thank you for your beautiful write-up you did of my RTP3D preamp on Dagogo! I do have to tell you the covers on that particular unit was not wearing the production metalwork top covers — but what was available at the time it was rushed together to go to the RMAF 2005. The production ones that would be supplied to a client are of matching quality to the rest of the unit’s looks and sound. And thanks again for the Level5+ Upgrade review on the SACD player — you really do capture my design’s essence! It’s a shame Allen passed away, I’d like to buy this pre amp in kit form. I am using his Super Regulator in my own Pre amp.. A small way of paying respect to one of the true geniuses of our hobby who sadly left this earth much too soon.